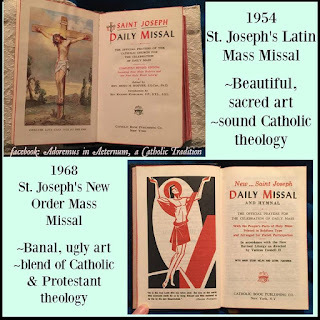 I stopped attending the masses at the cathedral because of his bad sermons and forgetfullness in the way he serves mass. the sermons alone are a headache .. and i dont know why he does not have the audacity to prepare his sermon if he is not knowledgeable on the topic... What a dismay!! Okay, let me try to explain this again. 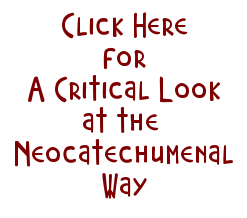 Jucutan's inability to give a sermon is not just a personal defect or a refusal to prepare. It is the very epitome of the church Kiko intends to create in his image. In Kiko's church there are no priests - which is why he refuses to use the word. "Presbyter" is just a bridge word. It has legitimate usage in the church, but it opens the door to where Kiko wants to go: no priests, no sacrifice. Kiko sees the community as preeminent - a community which ultimately will have no need of priests or even presbyters. He just needs to use them for now to retain legitimacy within the church - plus they serve to buy influence with corrupt bishops like our own. This is why in Kiko's liturgy, the celebrant's communion is not separated from the people's communion - something he REFUSED to change as per Rome's severe (but unenforced) instruction. This is why also, in Kiko's liturgy, the celebrant gives no homily. That task is turned over to the community who give their "echoes" - their personal feelings about the meaning of the readings. Of course this is not new. Long before the Kiko's, we so-called "traditional Catholics" have been ridding ourselves of the idea of the priesthood by referring to him as a "presider" instead of "celebrant" or even "priest." Many priests have encouraged this erasure of their own sacramental priesthood by their insistence on the laity addressing them by their first names and dropping "Father," and of course their preference for secular dress when not on the altar. Taking communion in the hand instead of on the tongue and kneeling is but a short step from the kikos' communion. We criticize the kikos' guitars and tambourines, but attend almost any Mass and what do you see and hear? Even Kiko's faux art is better than this. 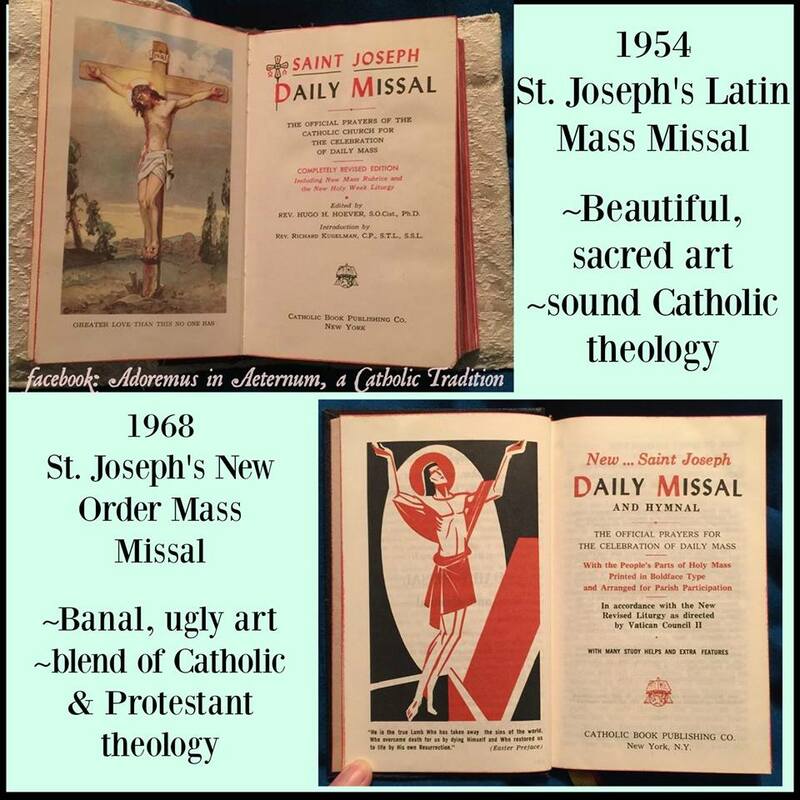 But then of course how many Catholics even own a missal anymore? And for some serious ugliness check out the cover of your "missalette." This is the real reason we will lose the war with the kikos. It won't be because we didn't raise enough money for the CCOG to sue for the return of the property stolen by Apuron and RMS. It won't be because we didn't rally enough people to protest. It won't be because Rome didn't hear our cries. It will be because we have already gutted the true faith ourselves which is why it was so easy for Kiko to walk in. You know this because long since Kiko was a problem your children and even your siblings and close friends have been leaving our church in droves. Yes, we must rid ourselves of the kiko evil in our midst, but the kiko evil is only a cancerous eruption on what was already rotting. Start thinking about it. And start talking to your priests....the real ones. Poor Mike. I actually feel sorry for him because he was never given a chance to become a real priest. He is a victim of circumstance. That's what happens to weak people. They are easily sucked into the cult of receipt. Poor guy never had a chance. Since his parents belong to the cult and since the only friends he was allowed to have belong to the cult the weak lad was doomed before he ever went to his first catechesis. There are other youth out there who will soon be sucked into this pit of horror called the NCW. but if we remain vigilant in exposing how bad these people are who run the show we may be able to save a generation of weak victims from a life of living hell. We all need to stay strong for the youth. STOP THE ABUSE! 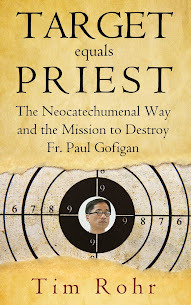 Stop attending Mass by the Neo presbyters!